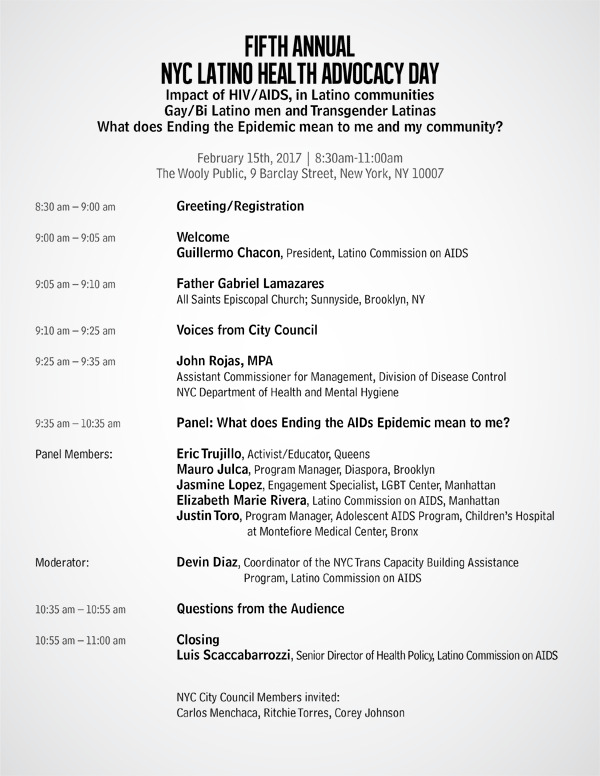 Friday, February 17th, 2017, New York, NY - On February 15th, the Hispanic Health Network/Latino Commission on AIDS convened over seventy community partners from New York City to hold a health briefing on ending the AIDS epidemic in two of our hardest hit communities: Latino gay and bi men and transgender women. 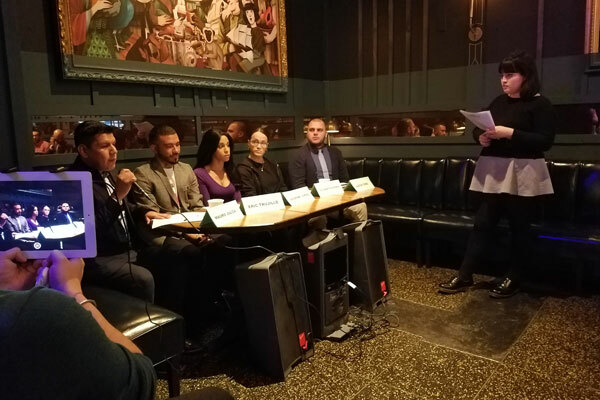 A diverse panel representing these communities were brought together for the Fifth Annual Latino Health Advocacy Day to better understand the opportunities, strategies, challenges, and barriers in implementing the three-point plan to end the AIDS epidemic in New York State. “The work done in NYC, has shown steady decreases in many communities—however, we still see Latino gay/bi men and transgender Latina women being impacted—we are seeing steady increases in this population in NYC”, stated Luis Scaccabarrozzi, Senior Director of Health Policy & Advocacy at the Latino Commission on AIDS. 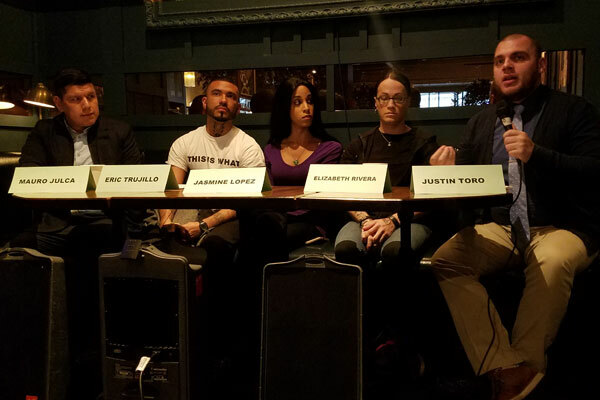 The briefing brought together a panel of diverse Latino gay/bi men and Trans women from NYC. The panelists had the opportunity to share their views on issues related to testing, access to treatment and care, retention in care, PrEP and nPEP. 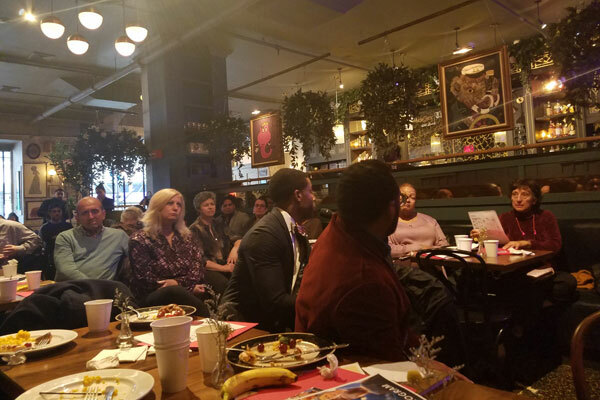 An overarching recommendation across all of the panelists highlighted the critical need for multi-services and programs that are culturally responsive, meaningful, and linguistically appropriate to both communities. The panel agreed “that using the term “targeted communities” creates more fear and stigma—changing the use of “targeted” for “priority”, would be more effective”. “Our voices need to be heard, we need to also be offered opportunities as providers, not just promises”—stated Elizabeth Marie Rivera. “How we collect data, also shows how much the epidemic affects us and the services we receive—we need to improve how data is collected for trans and intersex communities” stated Jasmine Lopez.